Shop Hosa Y Cable 1/4 Inch TRS to Dual 3.5 mm TRS Female from AMS and enjoy Fast & Free Shipping. 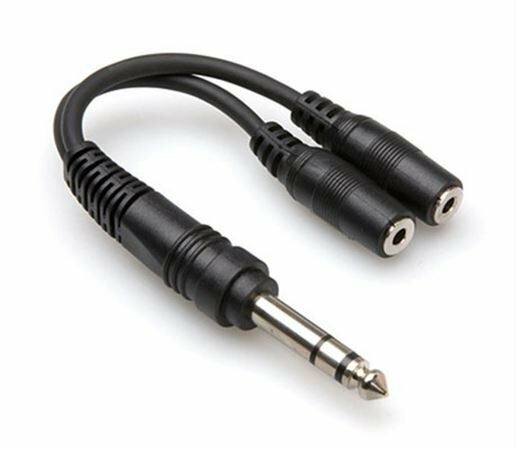 The Hosa YMP234 1/4 Inch Male TRS to Dual 1/8 Inch TRS Female Adapter Cable is designed to duplicate a stereo signal. A common use for this cable would be as a headphone adaptor, adapting one headphone jack to two headphones. Hosa quality ensures the best in audio quality and reliability.